ISN'T IT FUNNY, how good drinks can BRING PEOPLE TOGETHER? Ready for a cold one? Stop in after work for happy hour, hang out on a patio day or wind down with us after a grueling mountain biking adventure. We’re known amongst Grand Junction breweries for our wide selection of Colorado craft beers and spirits as well as an extensive wine list. Make sure you ask about our featured brewery of the month! 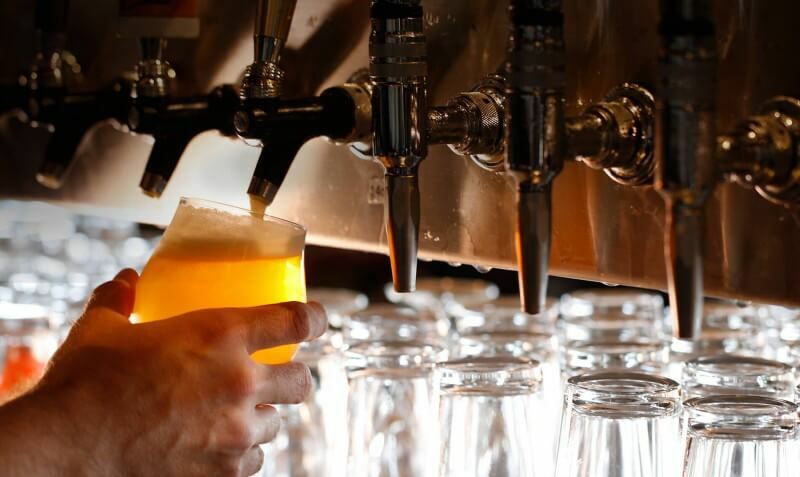 With four Ale Houses around the state, you’re never too far from fresh Breckenridge beer. Our staple. On tap. All the time. Want to see everything we have on tap at Colorado’s original Ale House? Take a look at our list or better yet, come on in and taste for yourself. Did you know Colorado has up to thirty four distilleries? Many of which grace our shelves and are perfect for making hand crafted cocktails. If it’s wine you love, we’ve left no grape unturned with our extensive list from a variety of regions. Come in for happy hour and let us show you why the Ale House Grand Junction has the best selection this side of the Grand Mesa. Founded on the principles of hard work, dedication, discipline and of course playing hard, Elevation believes quality beer is the result of living a quality lifestyle. Ever eager to elevate people’s perceptions of beer, they offer unique seasonal, specialty, and barrel aged beers.